Stop Wasting Your Time Fighting ArchiCAD! to transform your professional life. My name is Eric Bobrow. I’ve been working with ArchiCAD for 27 years as a reseller, trainer and consultant. 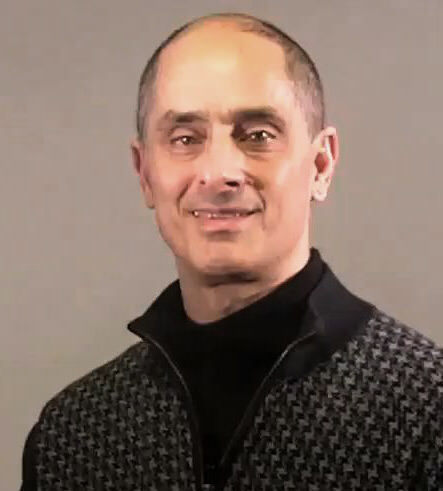 My company Bobrow Consulting Group was a Graphisoft Platinum VAR, former U.S. Reseller of the Year and ranked in the top 5 American resellers for more than a decade. I love helping people learn to use ArchiCAD better, and have created dozens of Tips and Tricks articles and Video Tutorials that have been published on the ArchiCAD Wiki, AECbytes, Cadalyst, my Youtube channel and other websites. I’ve also worked on the front lines doing tons of tech support on challenges from the most basic to the most technically challenging gnarly parts of the program. I’ve been called “the veritable Guru of ArchiCAD experts” and “the ArchiCAD Jedi Master” by some of my colleagues. My ArchiCAD Tutorials YouTube channel has 16,000+ subscribers and over 2.600,000 views as of November 2016. I love ArchiCAD, and I understand it inside and out – and I want you to feel as comfortable and confident as I do when working with this amazing software. Do you ever feel like you’re doing things the long way around? Does it seem like you’re fighting ArchiCAD rather than having a good friend? Have you given up trying to figure out how some features are supposed to work? Do you really want to understand the best AND fastest ways to get things done? You may know me personally as your reseller, or have only connected with me online through MasterTemplate or my numerous Tips and Tricks articles and video tips. It doesn’t matter. Through the magic of Web 3.0 I’m going to be able to work with you and give you a “brain dump” of how I see things and how I work with ArchiCAD. The Best Practices Course is delivered in bite-sized pieces that you can easily find the time to watch and digest. It is a combination of screen-capture (video demonstrations of how to do things within ArchiCAD), live video (listening and watching me explain concepts) and mind-mapping (diagrammatic representations of the inter-relations of ideas, methods and processes that help make things crystal clear). The course is built around the 7 Keys to Best Practices for ArchiCAD, which are seven key principles that will help you become more effective and efficient in your use of the software. Understanding them conceptually is a good start, then examining, exploring and learning how to apply them throughout the interface and the project workflow will make a tremendous difference. They will literally transform your practice. There’s lots of meat to this course, yet it’s designed to be easy for you to digest. The curriculum is organized as a series of 30 modules totaling more than 60 hours of material. Typical modules contain 3 to 6 lessons totaling about 90 – 120 minutes. You can watch an entire module during lunch, or grab a short lesson during a coffee break. Watch whenever it’s convenient – take a couple of hours out on a Saturday to watch a couple of modules. If you’re hungry, or hunting for solutions, you can gorge yourself and watch hours of satisfying materials on your own time. Of course, since the videos play on demand, you can watch them whenever you want, and over and over again if you wish. That way you can glean all the goodies and make sure you really understand some of these challenging ideas. In addition to 24/7 permanent online access, you may order the course on 7 DVDs at a small extra charge, which will be shipped to you with all the lessons and bonus materials. Course materials are delivered through our online membership website and may be viewed in a browser or downloaded and saved. The videos are fully compatible with the iPad and other mobile devices. A set of DVD’s is available to course members for an additional charge of $97 including shipping anywhere in the world. The Best Practices Course registration fee is a total bargain at $697 – much less than the equivalent five days of classroom training. It’s concentrated, covering much more material. It’s convenient – you can do it on your own schedule, there’s no travel time, and in smaller doses so you can really absorb it – and you can watch each module as many times as you wish. Every lesson is carefully edited to make it clear and easy for you to understand, wasting no time. You’ll learn essential principles along with practical step by step techniques. This course is better than classroom training, and costs less too! Click the orange button for instant access, and you’ll be on your way! Simply click the orange Add to Cart button, and choose the one that’s right for you. For more details, click here to jump to the bottom of this page. 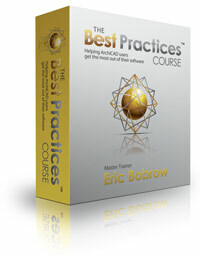 The Best Practices course is powerful and transformative. Many course members have called it the best investment they’ve ever made in the professional development. $697 is a great bargain for the benefits and time savings you’ll gain. However, I want to make sure you succeed in applying what you learn in the course to your actual work, so I’ve added two extra free bonuses to give you even more help integrating these lessons into your practice. The first extra bonus is a 6 month membership in my Best Practices ArchiCAD Coaching Program. You’ll get extra help from me when you need it. Twice each month you can jump on a two hour coaching call and ask whatever questions you wish. (Don’t worry if you can’t make the call – each one is recorded and posted in the member area for you to watch at your convenience.) You’ll get at least 24 hours of expert, caring support for your learning process. If you want, you can send in questions ahead of time, and even send me a project file. I answer these questions and demonstrate key principles as I go along. During the call, you may ask follow-up questions to ensure you understand everything as well as possible. Other course members often chime in with additional questions, comments and suggestions. Using GoToWebinar, I show you things in ArchiCAD right on the fly. Before the Best Practices Course, the only people who got this were my clients who were members of the Los Angeles ArchiCAD User Group. Now you can get this sort of expert (and caring) help regardless of where you are in the world! 6 months x 2 calls of 2 hours = an incredible 24 hours of coaching! 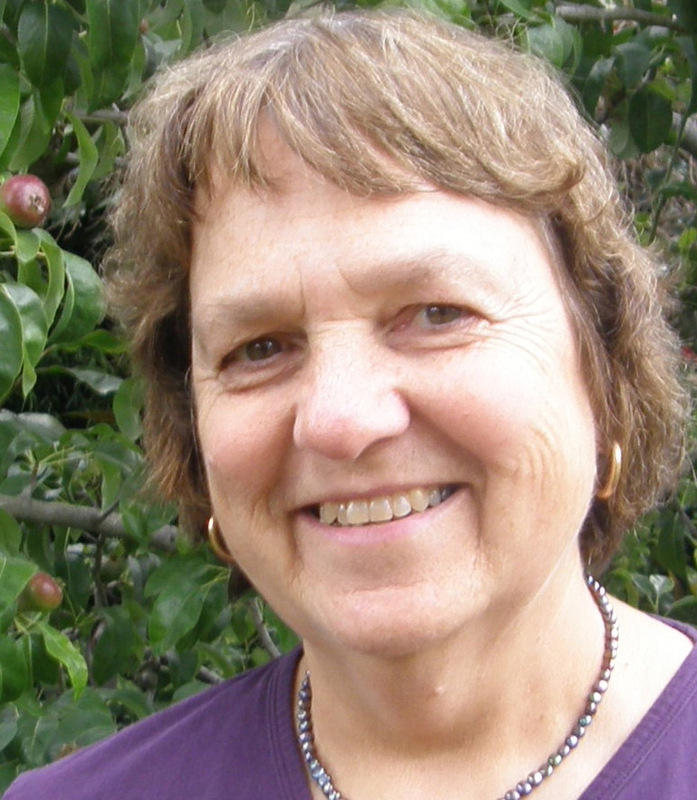 Did you have a favorite professor in college? Did you ever go hang out with him or her during “office hours”? That’s what I’m going to give you: extra help and personal assistance. For each coaching call I open the doors, and course members join me virtually. You can ask your questions, and get some advice, coaching, demonstration of how to deal with a technical question – whatever you need. The session are broadcast as a web seminar, and recorded and posted for later viewing. You’ll have access to this intensive coaching program for 6 months. You’ll get an unbelievable 24 hours in all. This is training in the context of your project, learning what you need to get your work done – a perfect supplement to the carefully structured course. I fill in the gaps, wherever you and other course members need extra help. Just like your favorite professor in college that mentored you when you needed guidance, I’ll be there for you. It’s fun, we hang out together, and you’ll learn a lot! “Investing in the best practices course is the best thing I’ve ever done for my knowledge and career in architectural design. I often “build” a house for a client as part of my first, free client meeting. They love it, and it often sells me and the 3D process. You’ve helped me improve my methods and increase my speed and confidence. I’ve spent many $$$ in ArchiCAD dealer training – but the commute time and expenses are high – the sessions are too long and intense for maximum benefit – fatigue sets in. The Best Practices Course works much better: it’s posted online – convenient, view when you want, repeat videos at will to clarify procedures. The coaching calls are great – wonderful nuggets abound! You post your questions and find that many others may share your same questions = virtually personal attention. I’ve had many people ask me if the course is for all levels of users, or just for people who have been using ArchiCAD for a while. The truth is that the course is designed to help anyone using ArchiCAD to work better, faster and easier. If you’re already using ArchiCAD for your design work, you’re ready for the Best Practices Course. If you’re working on your first real project, or your tenth, or even your 100th – you can and will benefit. The way I see it is – you’ve been focusing on getting your project done, and doing the best you can – while I’ve been focusing on how the software works in the most optimum way. So I’ve got lots to teach you that will help you be more efficient and resolve both the problems you know about, and the ones you don’t even know you have! On the other hand, if you’re a beginner, just getting started – you need something different to get going with ArchiCAD. To help you, I’ve created a new mini-course – the Best Practices QuickStart Course! This series of 7 meaty training modules will get you going quickly in a way that is consistent with Best Practices principles. This QuickStart will enable you to benefit from the main Best Practices Course lessons. The QuickStart Course may be consumed on it’s own, or as a supplement for other training – such as a class with your reseller or distributor, or with a book such as ArchiCAD Step by Step, or using the free Interactive Training materials that Graphisoft provides. It will give you important guidance to make sure that you learn the basics in a way that will fit in with the Best Practices principles that will serve you over the long term. Sign up now for the Best Practices Course and get this QuickStart Course free as an additional bonus! “I was experimenting constantly, scaling text and getting things correct was a drama. I used to constantly search for videos, but there weren’t many good ones. I find it necessary to be shown on the screen just how things work! I was going to dump ArchiCAD because of the lack of backup !!! Oh yeah, I almost forgot. The guarantee. This is “risk-free”. You have 90 days to try this out, and if you’re not happy, you can get your money back. It’s up to me to make sure you’re satisfied. Of course, I’d like the opportunity to resolve any problems or issues you have. But regardless, if you aren’t happy, I don’t want to keep your money. You have better things to do with it than spend it on something you don’t want to keep. 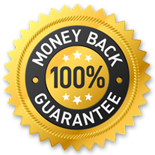 All you have to do is email me within 90 days to say that you don’t feel you’ve gotten your money’s worth from the course, and I’ll refund your credit card or PayPal account. Members of the Best Practices Course have the opportunity to rate the course and share their comments. The information is collected by Shopper Approved, a recognized website rating service. The results have been impressive: an average rating of 4.5 out of 5 stars! The comments that members provided have been even more amazing. I am so pleased to see their enthusiasm and effusive praise for my work. I feel honored, and it motivates me to strive even harder to keep everyone happy! This is an opportunity you won’t regret – if you take advantage of it. So if you want to transform your practice, learn the essential principles that will make you much more productive and allow your work day to really flow, don’t miss out. Enough said. And remember – you have no risk – if you don’t feel like the course is going to offer you far more value than the money you invest in it, simply contact me for a refund within the first 90 days. I’m taking all the risk – I have to make you happy! If you are interested in the Best Practices Course but $697 is too much of a stretch, you may now sign up for the course with 2 payments of $348.50 (one now, one in 30 days, with no interest) or 8 monthly installments of only $97. Click any of the orange Add to Cart buttons to go to the shopping cart page, and you’ll see the installment payment options. Choose the one that suits you best, and sign up for the course! CURRENCY CONVERSION Wondering how much $697 USD is in your local currency? Use this free currency converter to find out (click the “Down” button to convert from USD to the currency you choose). Note that your credit card issuer may use a slightly different rate, so please consider this only as an estimate. Do you have any questions? Use the little chat widget in the bottom right of the page. I read every question, and will respond to you personally. Thanks for taking the time to read all the way to the bottom of the page!